Google and RailTel launched First Public WiFi service at Mumbai Central railway station. The internet WiFi service provided by Google and RailTel will be named ‘RailWire WiFi’. RailWire WiFi service is free and it can be used by any individual who has a smartphone and working mobile connection. Just you need to sign up and enter your Mobile Number and in return they will send you OTP. 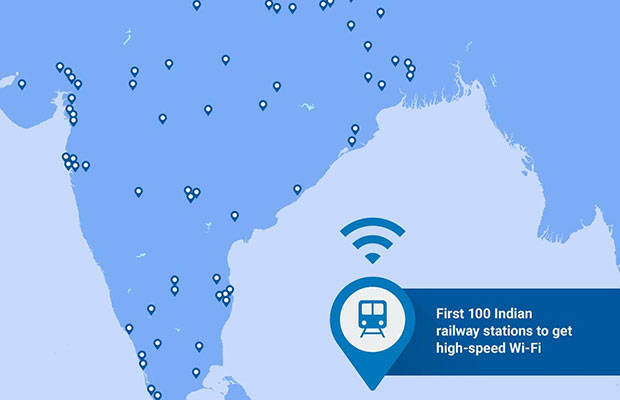 As said by Google, Free WiFi service will be provided to 100 Railway Stations.Western Railways like Ahmedabad, Rajkot, Baroda, etc. will also get Free WiFi services in near future. Also, Good news is that Google is planning to expand Free WiFi services From 100 Railway Stations to 400 Railway Stations.